Costa del Sol Hotel. El Oceano Luxury Beachfront Hotel. Perfection! Costa del Sol Hotel. Find the best Costa del Sol Hotel between Marbella and La Cala de Mijas. 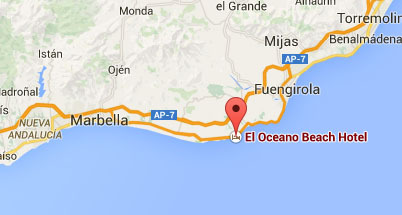 There are plenty of places to stay on the Costa del Sol, but there is nowhere quite like El Oceano Hotel! 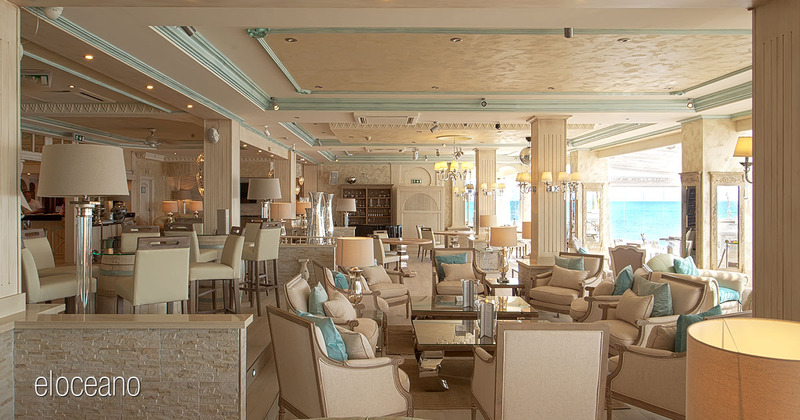 A luxury beach hotel with elegant restaurant, right on the water’s edge. Paradise is closer than you think! A four-star ‘Boutique’ Beachfront Hotel in the heart of the Costa del Sol. There are a lot of hotels on Spain’s Costa del Sol, but there is nowhere like El Oceano. A four star, luxury hotel, El Oceano boasts 50 exclusive rooms and studios. 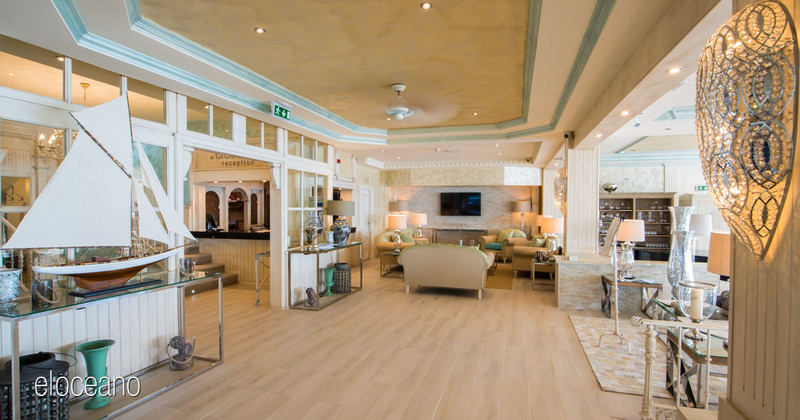 When we say ‘beach hotel’, we really mean it. 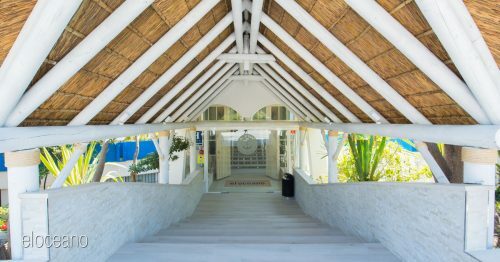 We are right on the water’s edge with most rooms having unspoiled sea views and the restaurant and bar terrace right on the beachfront. Walk straight from the terrace right on to the Mijas Costa beach boardwalk and you are just a short stroll from the wonderful little town of La Cala de Mijas. Next to the ocean, close to perfection. There is nowhere like El Oceano. Our accommodation is some of the most exquisite on the Costa del Sol, newly renovated and redecorated, most with Mediterranean Sea Views. Some of the exclusive rooms even have private, en-suite jacuzzis! Go on… spoil yourself! “Paradise is closer than you think”, as we say here at El Oceano Hotel on Spain’s beautiful Costa del Sol. 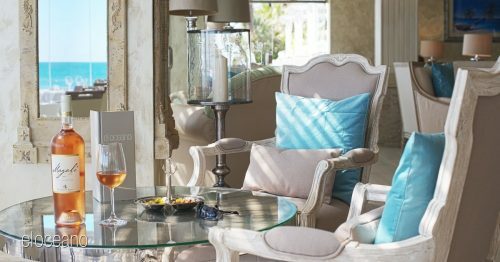 Nestled right on the beach, just outside La Cala de Mijas on the A7 towards Marbella, El Oceano is a family owned and operated 4-star beach hotel, fine restaurant, relaxing Martini lounge and beauty salon. We take some pride in our attention to detail and to the concerns and needs of our many, many loyal guests. With 50 rooms, from our Double Non-Sea View Rooms, right up to the exclusive, VIP Penthouse Apartments, we have some of the finest accommodation on the Costa del Sol. Beautifully refurbished in 2016, the hotel is an oasis of elegance. The decoration, the professional staff and the general ambiance all contribute to this extraordinary beach hotel and its very own subtle and elegant luxury. El Oceano will give you an unforgettable luxury beach hotel experience. We’re right on the beach so we have the views! At El Oceano, the views will blow you away! From the restaurant, on a clear day, you can see the North African coast, the Pillars of Hercules and the Rock of Gibraltar. And just under your nose, a quiet, secluded beach. Luxury. A variety of well-appointed, well-equipped and elegant accommodation awaits you. You can choose to stay in the main hotel or in a studio with a little more independence. The Jacuzzi Suites add a little romance and our exclusive Penthouse Suites really are the pinnacleacal of luxury. All beautiful, all yours! There really is nowhere like El Oceano. If you have yet to visit our hotel, please don’t hesitate to get in touch, or perhaps you’d prefer to read the many, very positive reviews on TripAdvisor. Either way, we hope to hear from you soon! 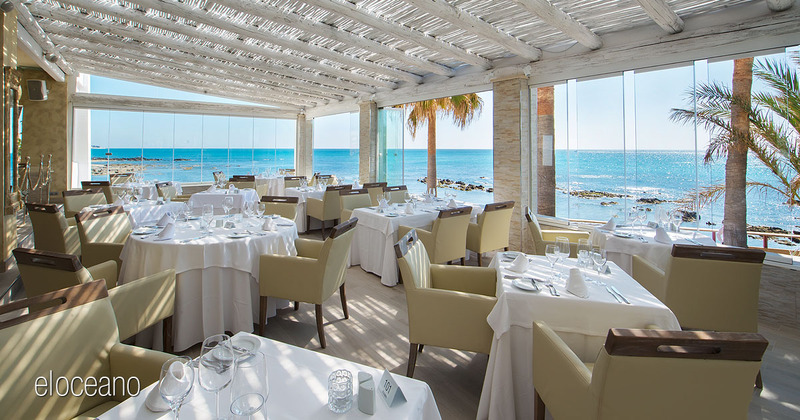 If you’re looking for a quality restaurant on Spain’s Costa del Sol, look no further than El Oceano! Exquisite Dining right on the Water’s Edge, close to perfection. 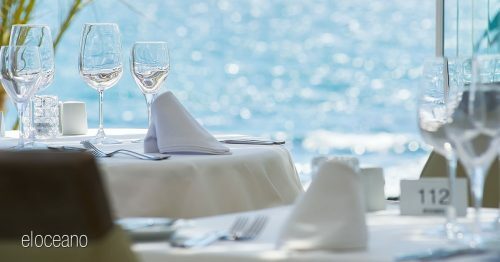 El Oceano will provide one of the finest dining experiences on the coast where lunch & dinner is served everyday either in the Ocean Room, on the Veranda or in the summer months outside on the stunning Waterfront Terrace, all featuring top class live music most evenings and in particular do not miss our ‘famous’ Sunday Lunch! The Ocean Room. Next to the Martini Lounge, a large and elegant room with almost panoramic views. The Veranda. A feeling of being suspended over the ocean.